2 Weeks ago I committed to my 14 Days SlimFast Challenge which was a part of sponsored challenge and post from Global Influence and Walgreens on behalf of SlimFast. 2. Secondly I went to my gym in the morning 3 times a week (Monday, Wednesday and Friday). Tuesday and Thursday I exercised at home using my new Zumba Wii Game that my husband got me for Christmas. 4. Around 12:30 PM I was already hungry so I had my egg omelette with cheese and vegetables. 5. Around 3 PM I had another Slimfast shake or Slimfast cookie dough protein meal replacement bar. 6. Around 5:30 or 6 PM I had a full size dinner with my family (approximately 400-500 calories) such as chicken with vegetables, meatballs with vegetables, turkey tacos with vegetables or even my most famous loved by everyone 30 minute Maple Pecan Salmon with Arugula Salad. 7. Around 9 pm if I was hungry I had a very light snack such as backed multigrain crackers with hummus dip or celery with hummus dip. I really liked the feel during the day that my body was light and not overstuffed, but you also see that I was not over-stuffing myself. I didn’t feel light headed but i did feel hungry every 2 or 3 hours. Although I suppose to lose 6 pounds in 2 weeks I only lost like 2 or maybe even less. But I also think that my muscle mass increased because I was doing a lot of weight training as well as I still had ton of fluid in my body because I drank plenty of water, oh I forgot to mention I did drink coffee and teas with small amount of brown sugar during my challenge. One last note from my gym buddies whom I talked about my 14 Day slimfast challenge: Few of my gals already did the slimfast diet or challenge. They told me that after you go off of slimfast diet or challenge most of them gain the weight right back. The key is to keep exercising 30-60 minutes a day, eat small meals every 2-3 hours, eat fruits and veggies, avoid soda, sugars, high fructose corn syrup, alcohol, pastas and don’t eat or snack after 7 or 8 pm depending on when you go to bed. These above are personal thoughts, opinions and results about my 14 day slimfast challenge products. Update: I have more exciting news! I stepped on the scale today on Jan 20 at 3Pm wearing my normal clothes and after having full size lunch my weight is actually less! Update on December 2014. 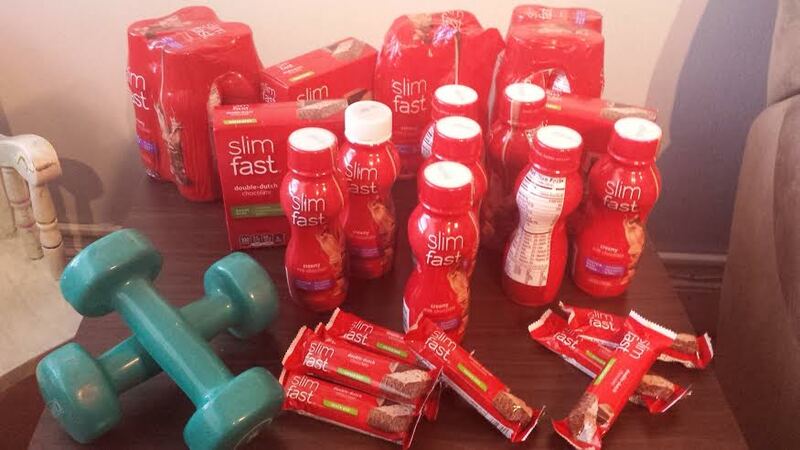 After my 14 days Slimfast challenge in January, I haven’t had any single SlimFast shake or bar. 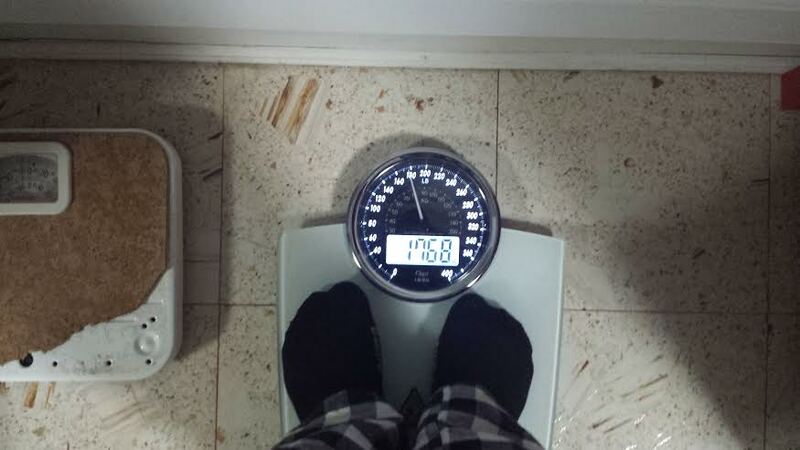 My weight is now 170 pounds however. As you can see I went from 180 to 170 in 1 year and keeping it steady and lowering it a little bit at a time. How I did it? Follow my fitness tips above and make sure to eliminate soda, sugars, high fructose corn syrup, alcohol, pastas, breads and don’t eat or snack after 7 or 8 pm depending on when you go to bed, but at least 3 or 4 hours before bed time. My goal is to go back to 150 pounds and I’m on a mission. Follow me along as I share many healthy soups and recipes, fitness tips. So sorry, but you did it wrong. You are supposed to substitute the 2 shakes for meals. This means that you don’t have 2 meals and have shakes INSTEAD. You had full breakfasts, lunches and dinners, AND the shakes. I am going to do this again (did it 20+ years ago and lost a lot). I will have a shake for breakfast and lunch and an apple or some small snack between meals and have a regular, healthy dinner. I’m doing it now and Robin is right. I’ve lost 12 pounds in 3 weeks and I don’t workout but I do walk 1.5 a day. I also would have liked to have read your results sticking with the same scale that you started with since each scale can read differently depending on the calibration, so your results are definitely skewed within that aspect. 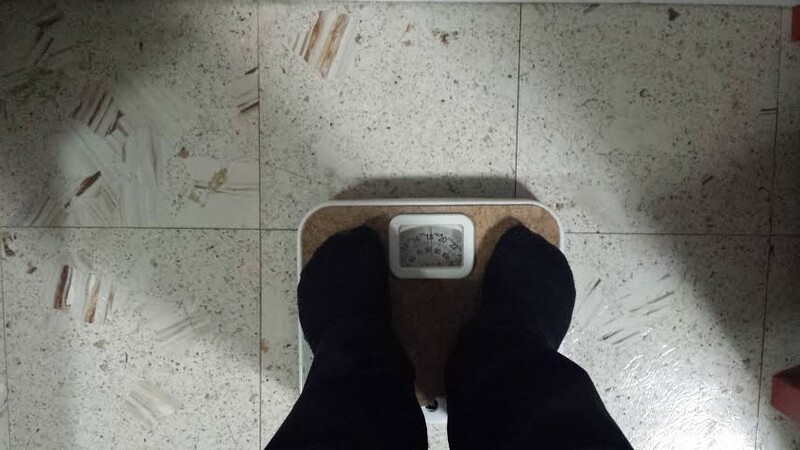 I know it’s fun to get a new scale, but using the same one throughout will provide you with more accurate results. How much money is it for a month of slim fast ? How much is it ???? How much money is it for a month supply of Slimfast drinking 2 shakes a day ? Not much go to Walmart and buy some slim fast. In power and mix it with 2% milk, and drink, a lot of water. the Slim Fast keep you full for 4 hours. And it is very good. I was thinking the same thing. I thought the drinks was suppose to substitute the 2 meals? Doesn’t sound like you followed the instructions. Say you normally eat breakfast, lunch, and dinner – for this to work, you would need to replace two meals with a slim fast shake, so lets say you want to eat dinner every night, your daily meals would be: Slim Fast Shake, Slim Fast Shake, Dinner. Try it again! I have been on this diet for 1 week and have lost 5 lbs……Like Robin says you should replace two meals a day with shakes. Afternoon Snack: raw baby carrots and broccoli or 10 small pretzels twists (110 calories). Dinner: 4oz grilled chicken breast, mixed veggies, and small helping of scalloped potatoes. Reducing your portions also helps tremendously, for example my dinner portions are not on a large plate but instead I use the medium salad plate. I also walk or bike for 30 minutes a day. I drink a lot of water and have cut bread and pasta almost completely out of my diet. I was a little hungry for the first couple of days but powered through it and now after a week I barely notice hunger at all and sometimes even have to force myself to have my morning or afternoon snack. I really hope you see results!!!!! I’m surprised you didn’t gain weight. Lol . Slimfast is a meal replacement . You’re not supposed to eat a meal with the shake. Try it out again. 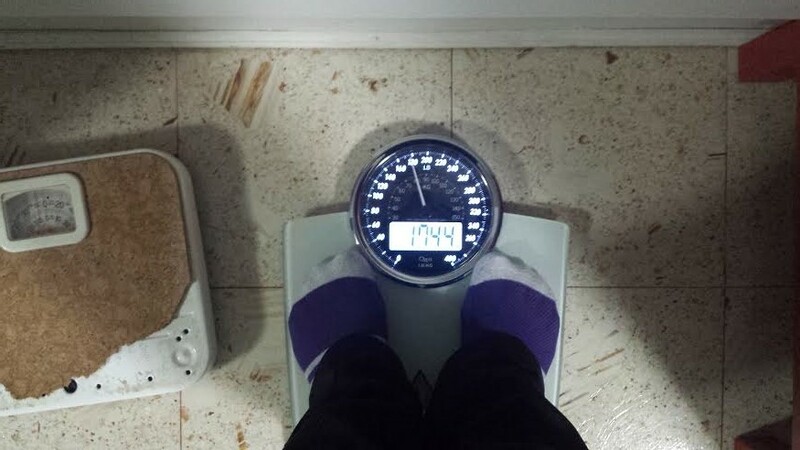 I’ve been doing it for 1 week and already lost 3.5 lbs. On the back of the package it gives you instructions on how to follow the slimfast challenge . I know this is from 2014 but she didn’t do the slim fast diet right, you are ment to have a shake for breakfast and lunch then a 500/600 calorie tea and you are allowed 3 of the slim fast snacks a day, you had too many meals. Just bought slim fast want to loose 10 lb in four weeks. Why no breakfast? Since you’re doing so good, I would say have a shake for breakfast, shake for lunch and small dinner. No? Skipping breakfast is horrible for your metabolism. Drink a shake for breakfast, it’s not that hard and tastes good. Have a salad with lots of lean meats and veggies for dinner (it’s light) and lunch do another shake or sandwich. You did it all wrong, as the others have stated. Irina, have you tried using Slim Fast the correct way (2 shakes as meal replacements and a 500-600 calories dinner) and if so, what kind of results have you seen? You’re so pretty! Since I’ve read some really positive results here I’m going to give it a try. I am on the SlimFast diet and drink a shake in the morning, eat a balanced lunch of 400to 500 calories, and two snacks a day. After about six weeks I have lost 5 lbs and that is with no exercise except house chores. I could tell immediately from reading this that you at far more then 1200 calories. Shakes are 180-200 calories and you also ate the bars so if you had two shakes and one bar a day that’s already 600 calories. Plus meatballs (which are high in fat calories or tacos) plus an omelet (depends on how many eggs they are around 60 a piece, without cheese, butter or stuff to go in them… crackers are terrible for dieting. What I do when I use slim fast is just replace my evening meal or my morning meal. I eat light the rest of the day. No soda, breads, anything with a large amount of fat (like red meats that aren’t lean) etc… the working out thing is great and I’m so glad you are working on yourself. But 10 lbs in year seems like your not doing something right. Healthy weight loss should look something like 1lb a week or 4-5 lbs per month. Eating a 1500 calorie diet will enable you to lose more weight without starving to death and if you eat healthy and lots of veggies and lean meats/fruits, the calories end up not even counting. Meats turn into proteins that die and do not turn into fat so you can eat as much as you want. Veggies are negative calories so you can consume as many of those as you want with no risk of gaining weight. Low fat cheese is great also and nuts and fruits! Gotta be careful relying on a shake to make you lose weight. It’s best just to learn portion control or use an app such as Spark people (which a nutritionist recommended to me awhile back) it’s great for looking up calorie and nutrition content in any food and also for tracking exercise! Good luck! Im curious if your little weight loss is because you didn’t quite follow the diet. You’re supposed to only have one meal and do the slimfast as the other meal replacements along with a few 100 calorie snacks. It looks like you were still eating three meals a day on top of the slimfast products. The only thing I learned from this is don’t review a diet if you can’t follow the instructions!